The remarkable diversity of Christianity during the formative years before the Council of Nicea has become a plain, even natural, "fact" for most ancient historians. Until After the New Testament, however, there had never been a sourcebook of primary texts that revealed the many varieties of Christian beliefs, practices, ethics, experiences, confrontations, and self-understandings. To help readers recognize and experience the rich diversity of the early Christian movement, After the New Testament, Second Edition, provides a wide range of texts from the second and third centuries, both "orthodox" and "heterodox," including such works as the Apostolic Fathers, the writings of Nag Hammadi, early pseudepigrapha, martyrologies, anti-Jewish tractates, heresiologies, canon lists, church orders, liturgical texts, and theological treatises. Rather than providing only fragments of texts, this collection prints large excerpts-entire documents wherever possible-organized under social and historical rubrics. 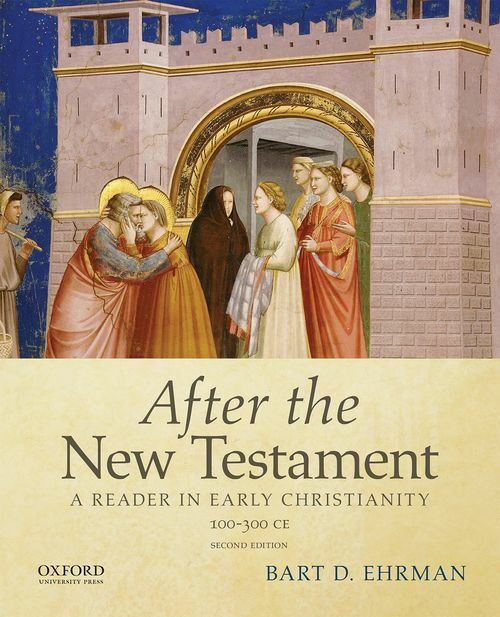 This unique reader's concise and informative introductions and clear and up-to-date English translations make it ideal for courses on Early Christianity, Christian Origins, or Early Church History. It will also appeal to anyone-student, scholar, and general reader alike-interested in the entire range of early Christian literature from the period after the New Testament up to the writings of the so-called father of church history, Eusebius. The Second Edition includes new and updated translations as well as considerable additions to the roster of sources, including excerpts from the Gospel of Mary, the Gospel of Judas, and the correspondence between Jesus and Abgar. The book also includes two brand-new rubrics of texts, one focusing on the method and practice of interpreting scripture, and the other focusing on women and gender in early Christianity. Bart D. Ehrman is James A. Gray Distinguished Professor of Religious Studies at the University of North Carolina at Chapel Hill. He has published numerous books and articles on the literature and history of early Christianity, including The Bible (OUP 2014), The New Testament, Fifth Edition (OUP 2011), The Lost Gospel of Judas Iscariot (OUP 2006), Christianity in Late Antiquity (OUP 2004), and Lost Christianities (OUP 2003).